Neil Keenan is a Partner at FRA based in the firm’s Washington DC office. He has considerable experience providing accounting and advisory services to clients across a variety of industries, and geographies. Neil specializes in the delivery of forensic accounting services including accounting fraud, audit/accounting malpractice litigation, anti-corruption investigations and compliance, and asset misappropriation and embezzlement. Over the past 23 years, Neil has built strong relationships with his clients through his discipline, professionalism, and loyalty. As a Forensic Services professional he brings an intense focus and vision for developing and executing practical strategies to resolve complex client issues. 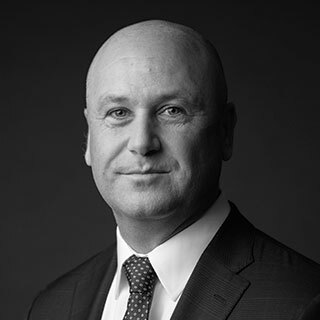 Beyond investigations, Neil brings broad experience that includes claims processing, M&A financial and compliance due diligence, corporate finance, corporate valuations, business recovery and restructurings, and external and internal audit services. Prior to joining FRA, Neil was a Partner at PwC in their Washington DC, and Los Angeles, LA offices. He also worked for PwC in Dubai, UAE, and Aberdeen, UK. As a result he has extensive international experience, and a broad knowledge and understanding of diverse business cultures and practices that factor into delivering value to complex multi-national organizations. Neil has a degree in Chemistry from the University of Aberdeen, UK and is a member of the Institute of Chartered Accountants of Scotland.